Crystal Poi are where durability, quality, brightness and value meet. 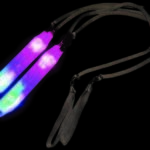 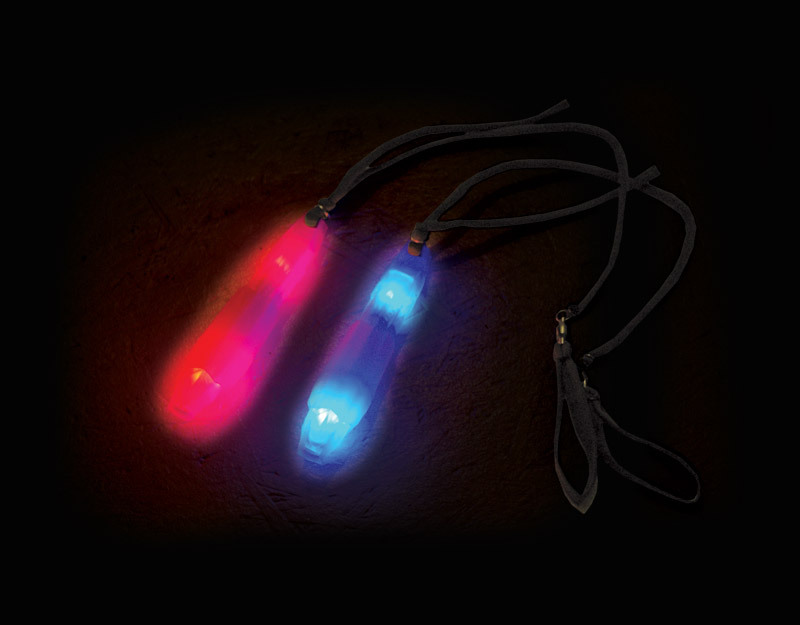 Made by Flow Toys of California, Crystal Poi include a LED console which fits snugly inside its poi mass and have very comfortable poi slings to allow you the ability to spin all night long. 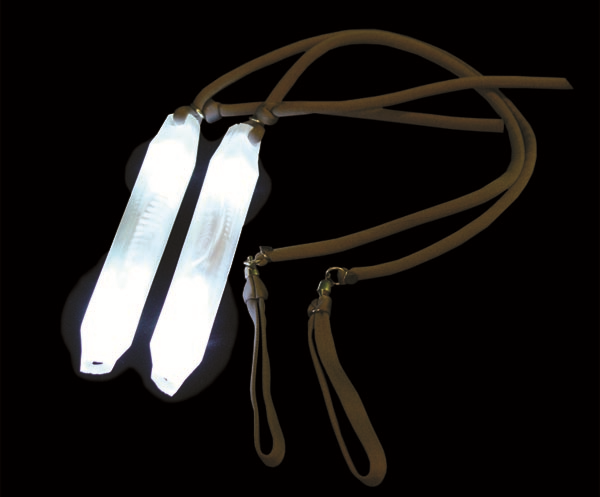 The slings are adjustable and made of thick, soft nylon cord and they have a loop where your fingers go while performing for easy control. 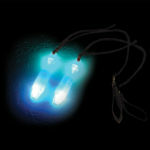 Each set is sold as a pair with AAA batteries included and ready to go (one AAA per console). 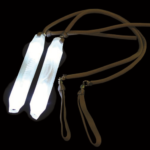 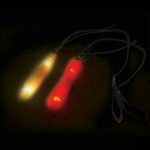 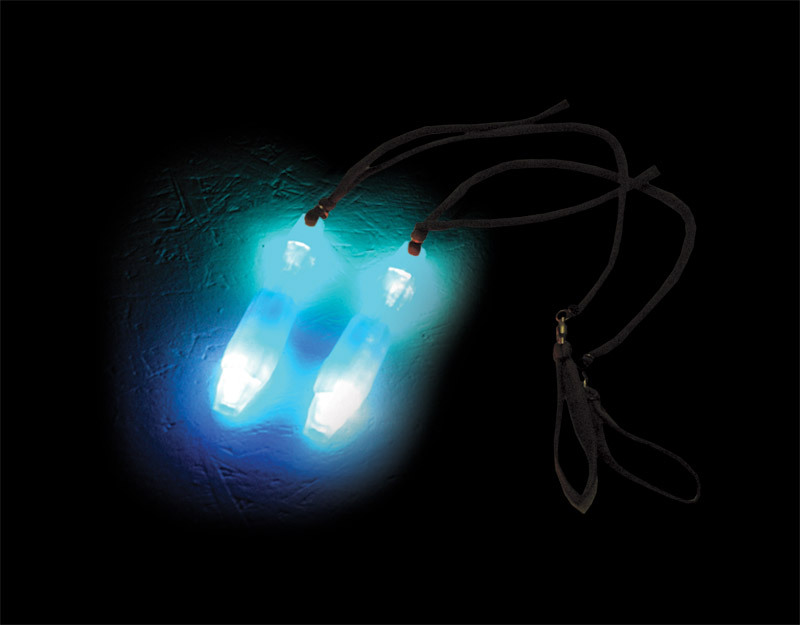 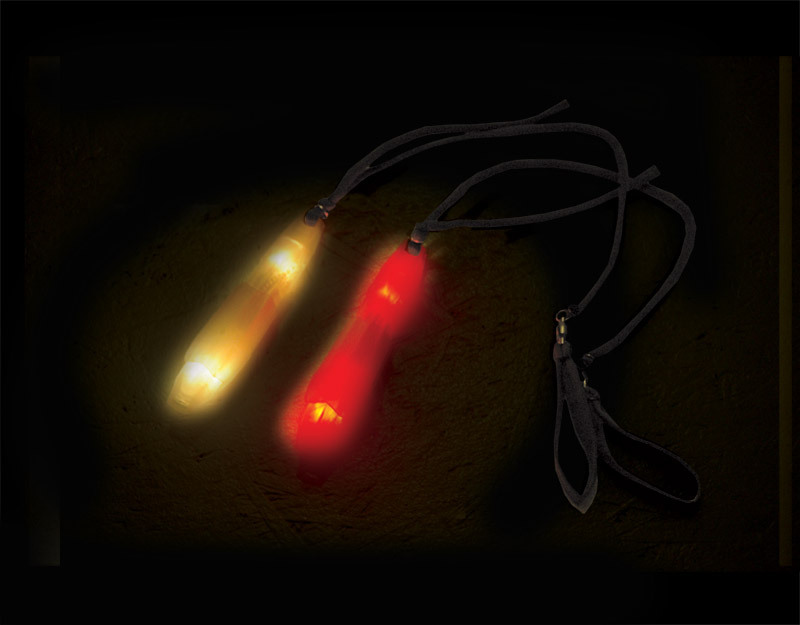 We’ve found this kind of LED poi to be best suited for various weather conditions. 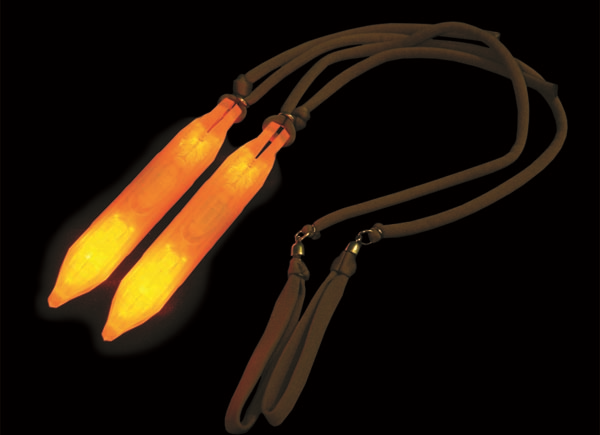 They are not water-proof but they are very water resistant thanks to the protective poi masses. 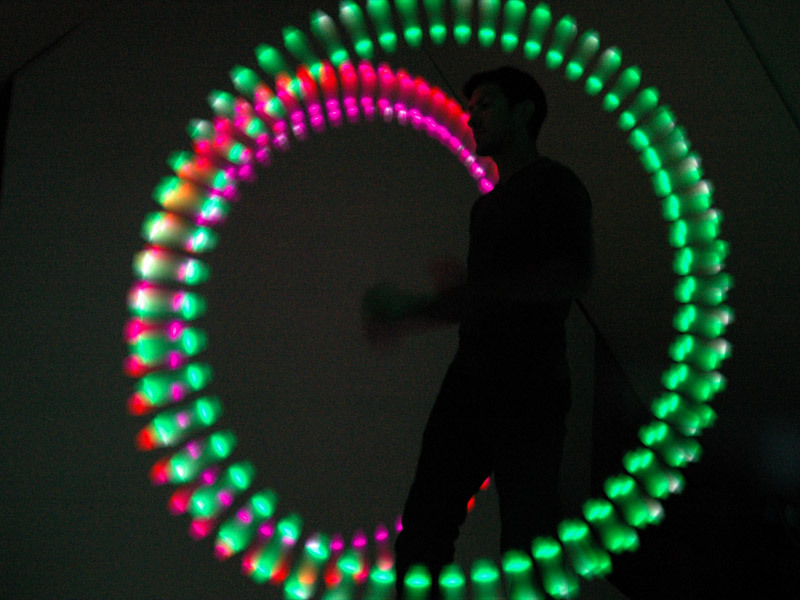 Each Crystal Poi color theme has six modes allowing you to choose how you want your LED lights to looks while your poi are in motion. 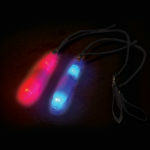 These modes can be selected easily by engaging the on/off button with a squeeze of your poi mass. 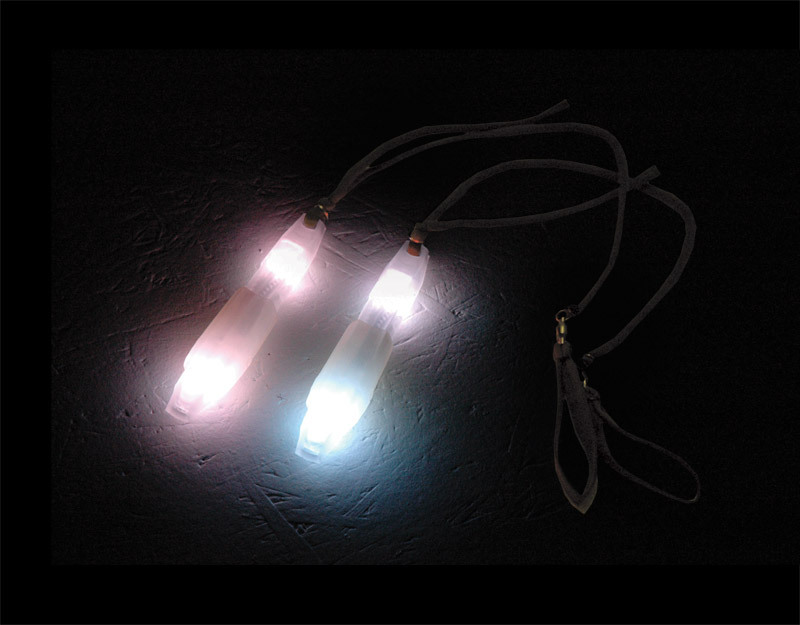 The modes include bright, energy saver, flicker, heart beat, color fade and color morph. 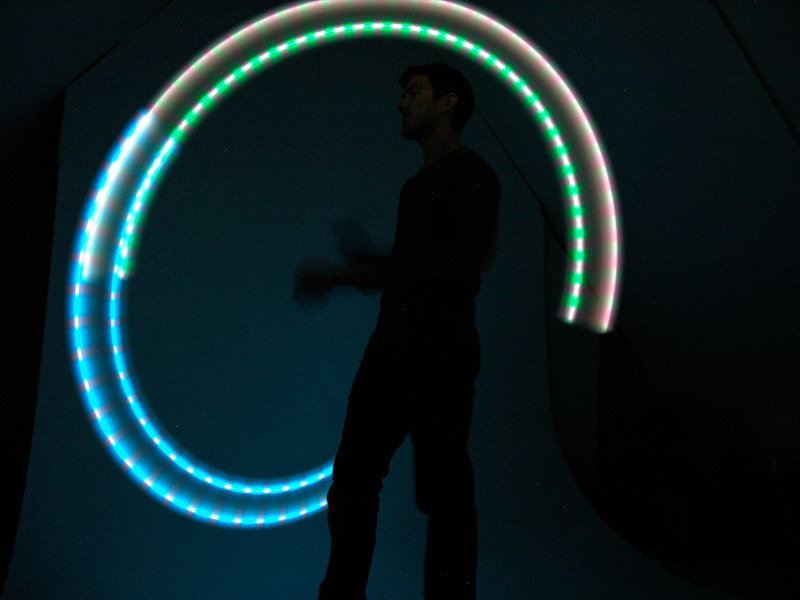 Watch the video to see what each mode looks like visually in the dark. 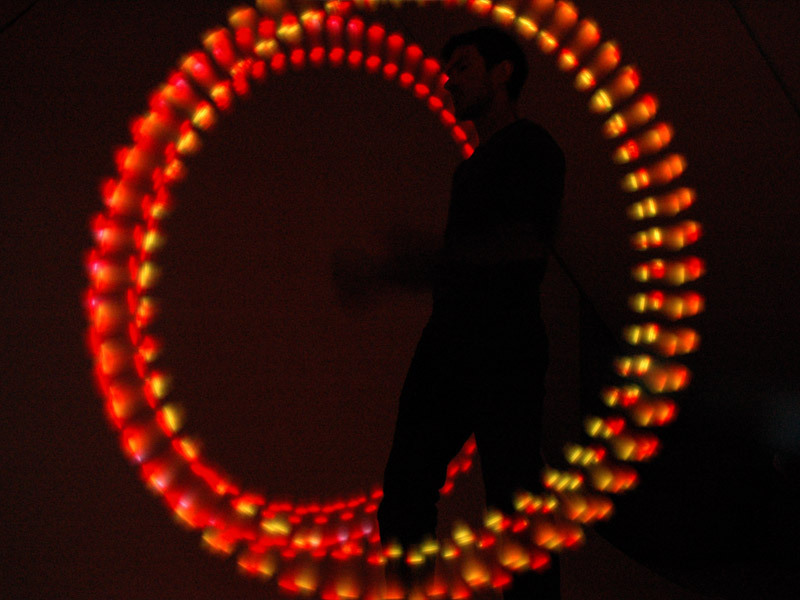 You’re certain to find a mode to match your mood. 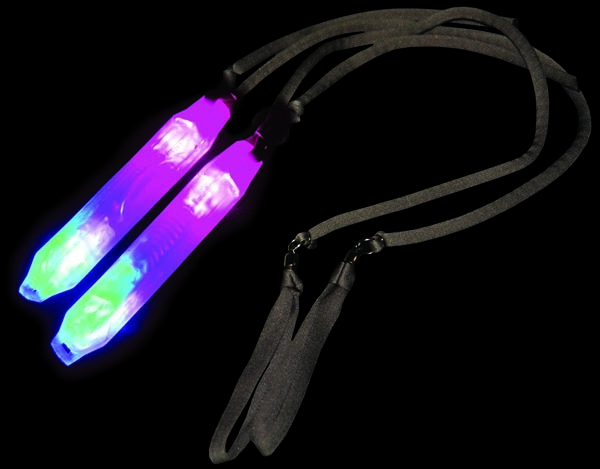 The batteries will keep your poi lit for 6-12 hours depending on which mode(s) you operate them. 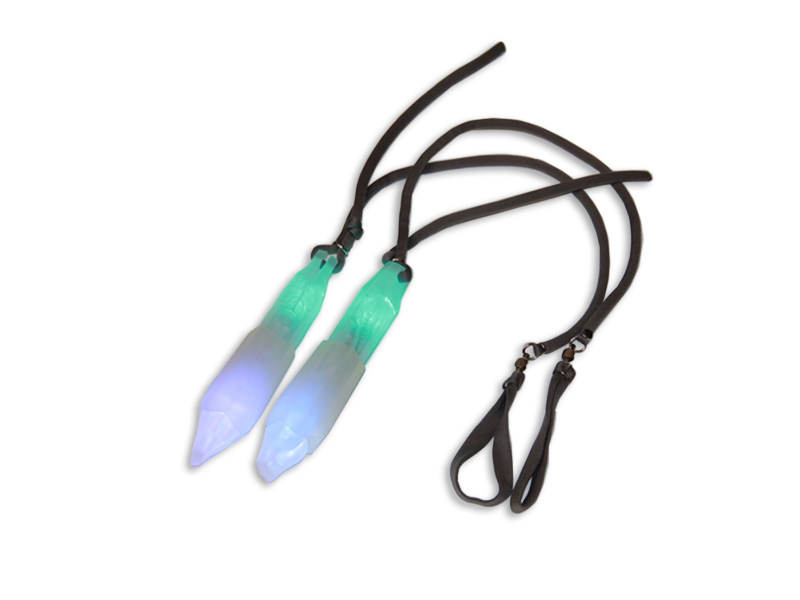 Each set of Crystal Poi comes with user instructions so you can keep your poi in top-notch shape as well as a product warranty guide. 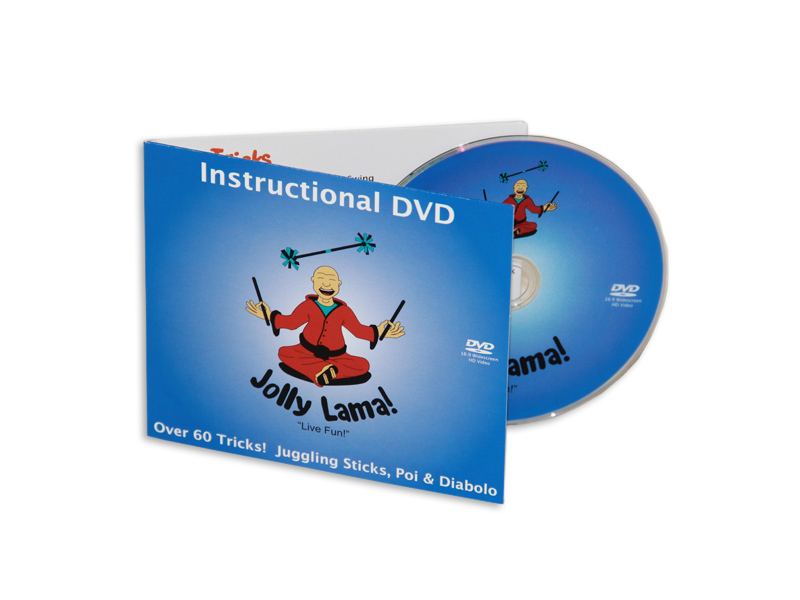 Plus, should anything go wrong with your Crystal Poi you have two companies with great customer service to turn to: Flow Toys and Jolly Lama! 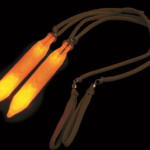 However, we’ve yet to run into any problems with this set of poi. 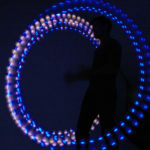 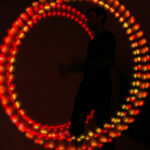 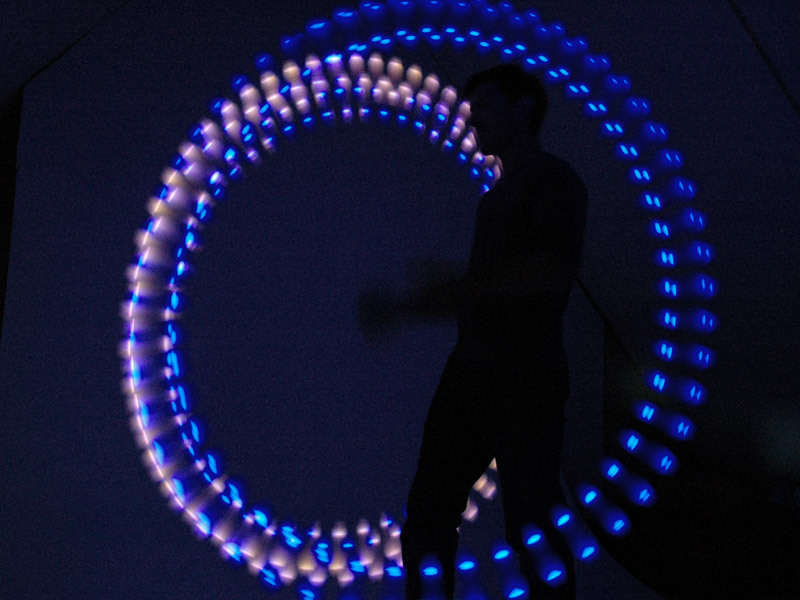 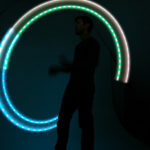 So get spinning with Crystal Poi so you can wow your friends day and night! 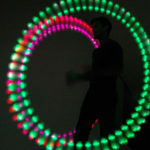 You’ve tried the rest, now spin with the best!